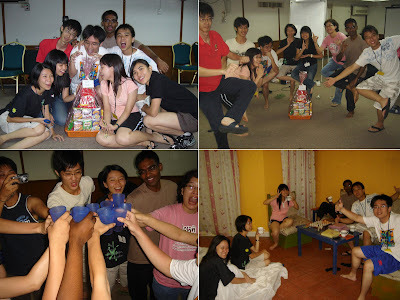 Shing's Adventures...: 2008...Year of Awesomenesss~~!! Yup...I'm finally back from my vacation and school started last Monday. Have been busy with the new semester so hadn't had time to update my blog yet. Lots to update about the wonderful US East Coast Trip with my parents...visited many places....took lotssssss of pictures...gonna take me some time before I start posting them on my blog. Anyway, it is already 2009!! Phewww...can't believe 2008 passed by soooooo quickly!!! Blogspot has been a really good avenue for me to jot down things that I've done...be it big or small...it helps me to remember all those memorable moments that will put a smile on my face when I look back in the future. 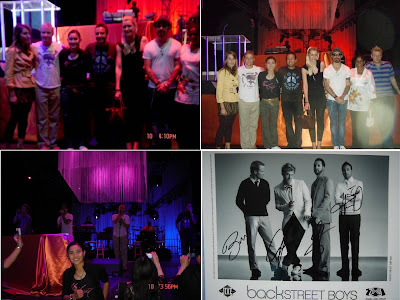 Jan: Started 2008 with a blastttt...even myself couldn't believe that I won a trip to see Backstreet Boys in Hawaii!!! Best thing of all...almost everything was paid for...including shopping & also visited Osaka for a day...wakaka!! :) That was indeed an incredible journey...Hawaii was beautiful & seeing Backstreet Boys so close in person was a once in a lifetime opportunity! Fabulous~!! 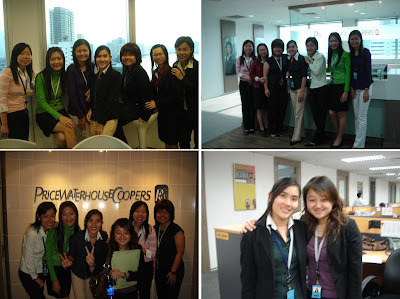 Feb: Began my 3 months' internship in PricewaterhouseCoopers Penang after CNY. Working as an audit intern was new to me but I was lucky that I didn't have a lot of workload. My audit assignments were all pretty cool...Intel, Dell, IJM Corp & HwangDBS...all special audit and I learnt quite a good bit from those assignments too. I also received my results for the 2nd semester and was kinda dissapointed with it. I got a freakin' "B-" for Accounting Information System...the 100% coursework class!!! Ahhh...that really pulled down my CGPA...perhaps that's the price I had to pay for going to Hawaii two weeks before final exam...hehe!! Mar: Mainly still spending most of the time with internship. Won the contest to attend Romantic Princess Promo & meet Wu Chun in person but had to ask bro to go on my behalf coz I had to work...too bad!! Joined the 988 cruiser to go around Penang during election day...it was fun...and surprisingly...Penang was won by the opposition this time. 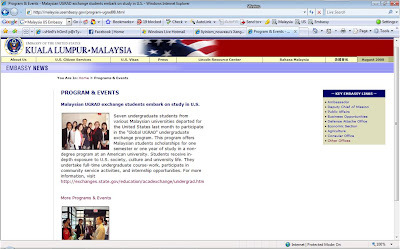 Apr: Received the great news from US Embassy that I was selected to receive the scholarship to study in US for a year...OMGGG!!!! I didn't expect it at all...it was definitely the best surprise!! May: Was busy getting ready for the new semester and also getting things ready for US. Travelled to Phuket with my family before new sem started...it was a short but fun-filled trip. June: Busy busy busy... Even though I didn't have to stress on studies, I was spending most of my time planning and preparing for the ACCA Student Conference. It was tough working under time pressure with limited manpower. I also 'resigned' from my position as course rep & surprised my coursemates coz most of them didn't know that I was leavin' soon. It has been great working with & for all of them. 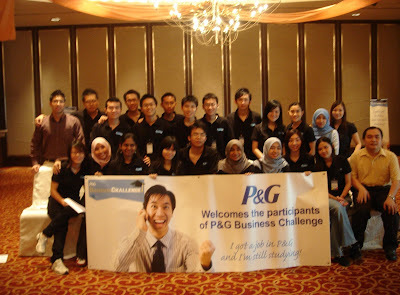 July: Still busy busy busy... Was shorlisted to participate in the 4d3n P&G Business Challenge at Impiana Hotel...met lots of new friends and learnt lotsa new things that will be beneficial in the future!! Went to Port Dickson for the 2d1n Student Conference...we managed to pull everything together and the event was a success...thanks to all the committees & helpers who've made it possible!! Aug: Finally...time for me to fly to US to start a new life & new experience in a brand new place...all by myself. The journey to Huntsville was looooong and filled with obstacles...but from the moment I arrived...everything has been greattt!!! Ms Anita & everyone from the Office of International Programs helped us a lot and we settled down without any problems at all. 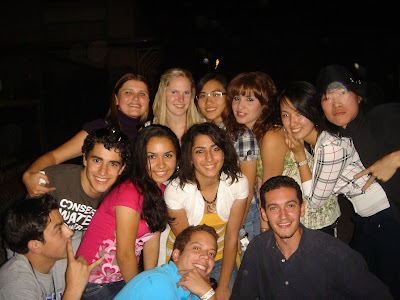 I also met a group of incredible friends from all over the world...we got closer to each other quickly and have done lots of things together. They are all true friends that I'll always remember even after leavin' this place. Celebrated my 21st birthday here also...nearly forgotten about that..hehe!! Sept: Spent lots of time with my lovely roomie & other sponsored students. Also got to know Daniel & had the chance to visit Birmingham because of him. Also traveled to Chattanooga with OIPS & other sponsored students. Oct: Every experiences that I had here in the US is special & new. 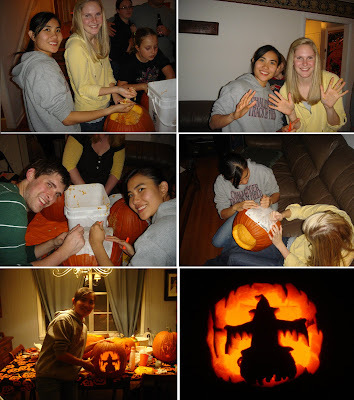 I was involved in some community service & celebrated my first ever Halloween. Nov: Travelled quite a lot this month. Went to Atlanta with friends and also Orlando during Thanksgiving. One of my main goal here is to travel as much as I can within a year & I'm glad to have the chance to visit to these 2 destinations. In short, I have been traveling a lot in 2008 and had lots of coool experiences throughout the past year. I am soooo blessed for all these and I hope that 2009 will be another great year ahead!! "The past is filled with memories that will never be forgotten; today is the future I created yesterday, and the future is where I'm going to be!! Go Go Go for the year 2009!!!" Glad to hear that you had an awesome year!! Have a wonderful 2009!! !